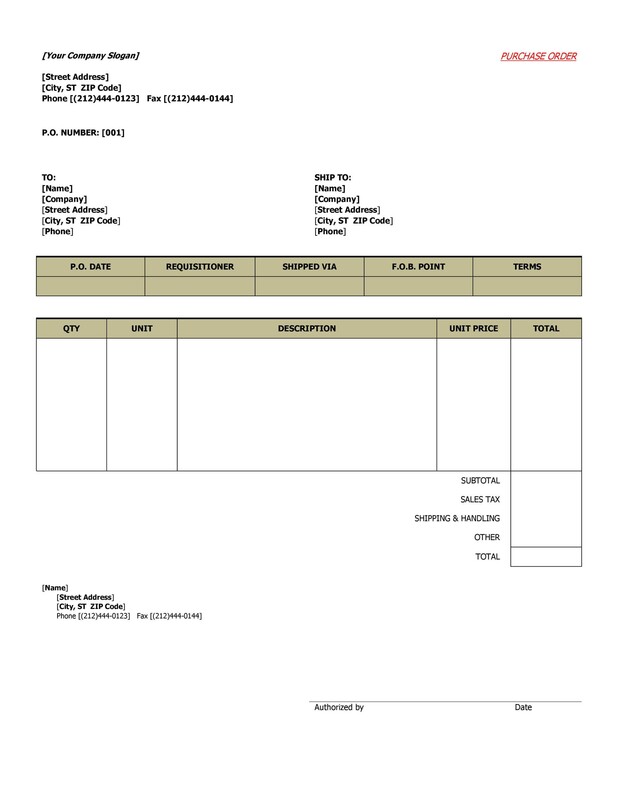 A purchase order is much more than just a form; it’s a form that represents a way of life for many businesses that order large quantities of raw goods or supplies from a vendor on a regular basis. 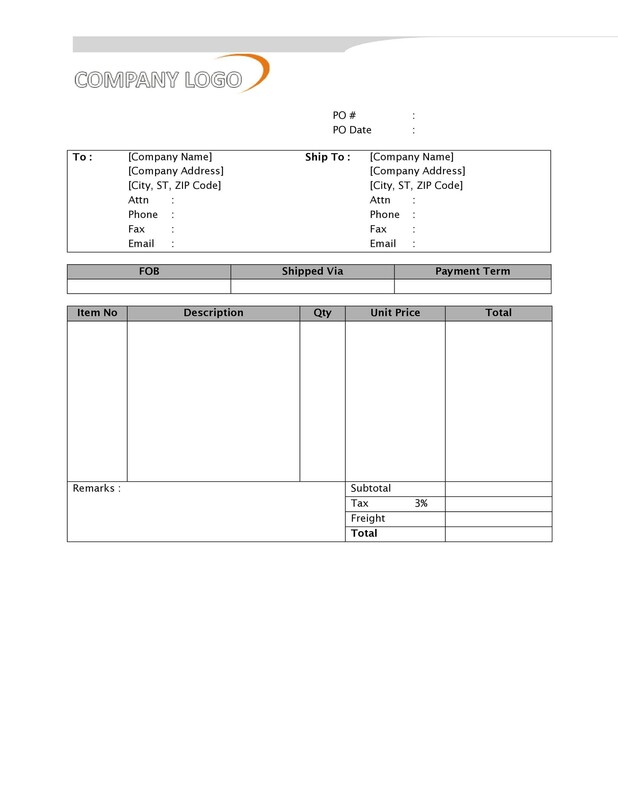 The purchase order serves as an offer, on paper, to buy a specific product, in a specific amount, for a specific price. 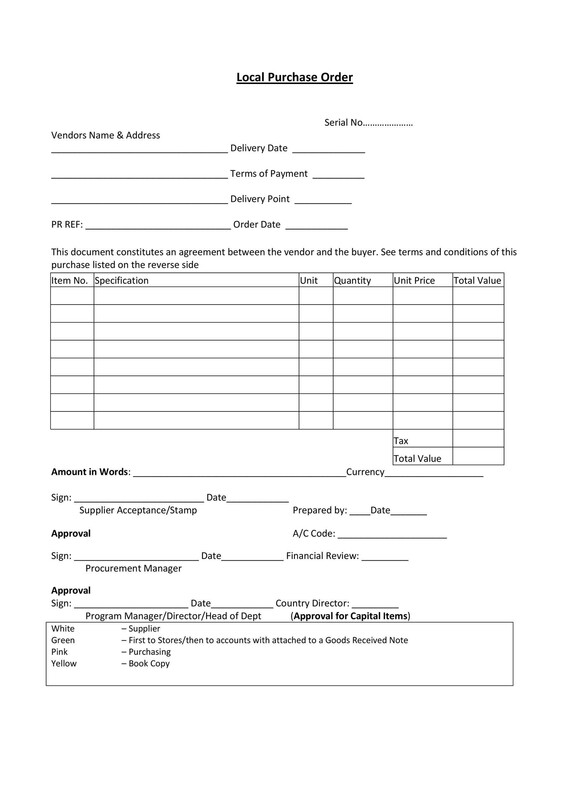 Once a vendor accepts a purchase order, it becomes a contract between buyer and seller. 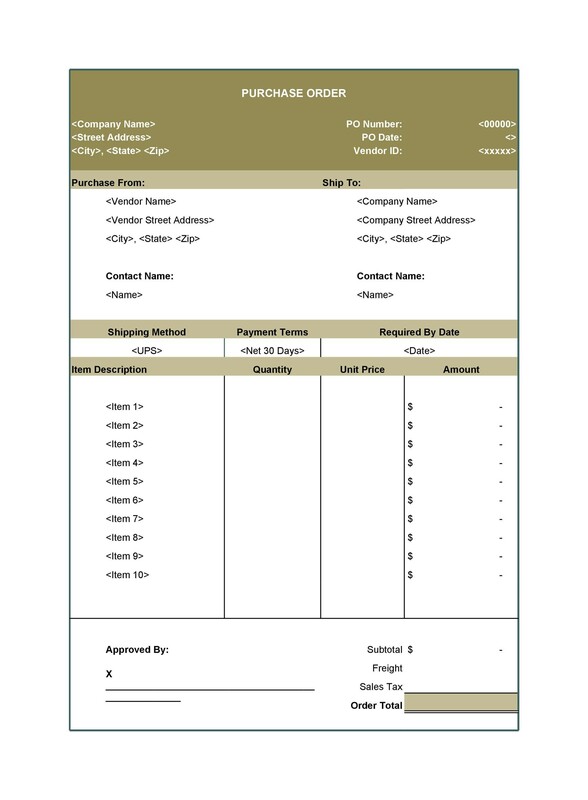 The vendor will send your company the goods you require, and send your company an invoice that is usually net 30 or net 60 days, depending on your agreement with the vendor. 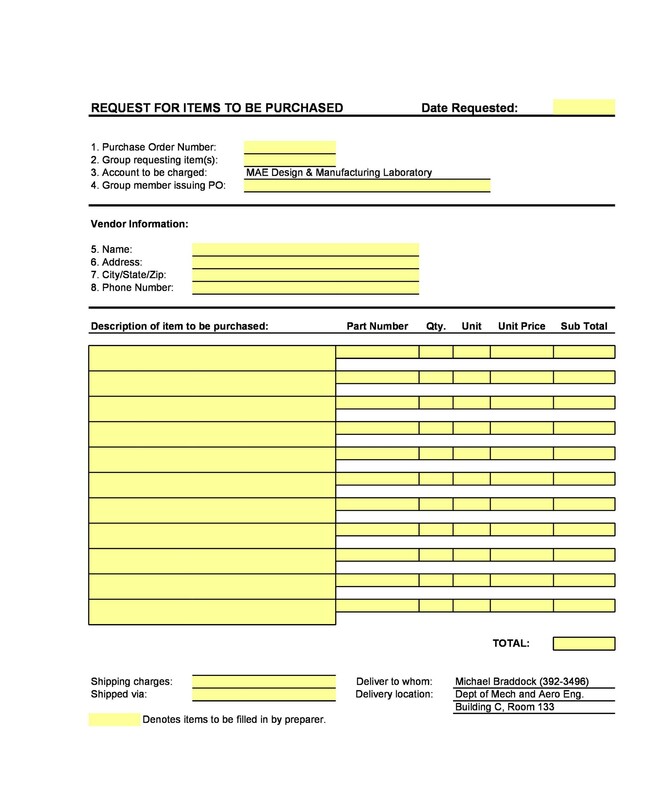 5 How Does Purchase Order Funding Work? 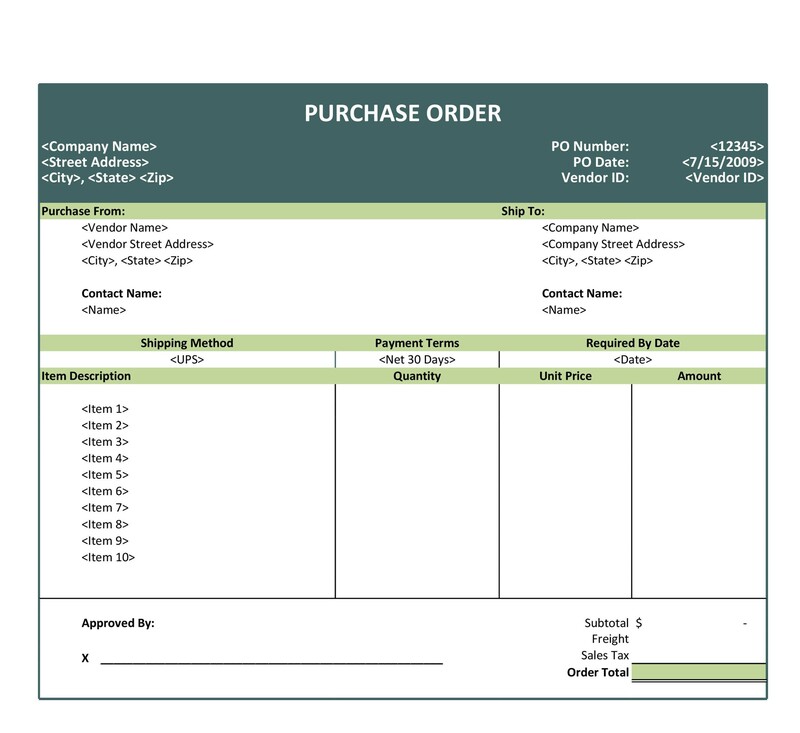 6 Purchase Order Template vs. Order Form Template? Many small businesses are tempted to place large orders over the phone, which can lead to inaccuracies that end up costing them money. 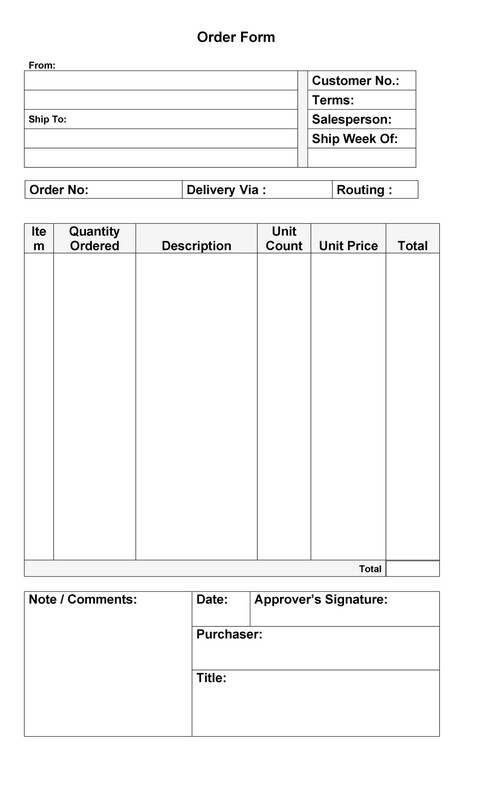 A purchase order, as a contract, helps businesses keep track of their purchases, eliminating confusion for the vendor, overbillings, and even incorrect quantities. 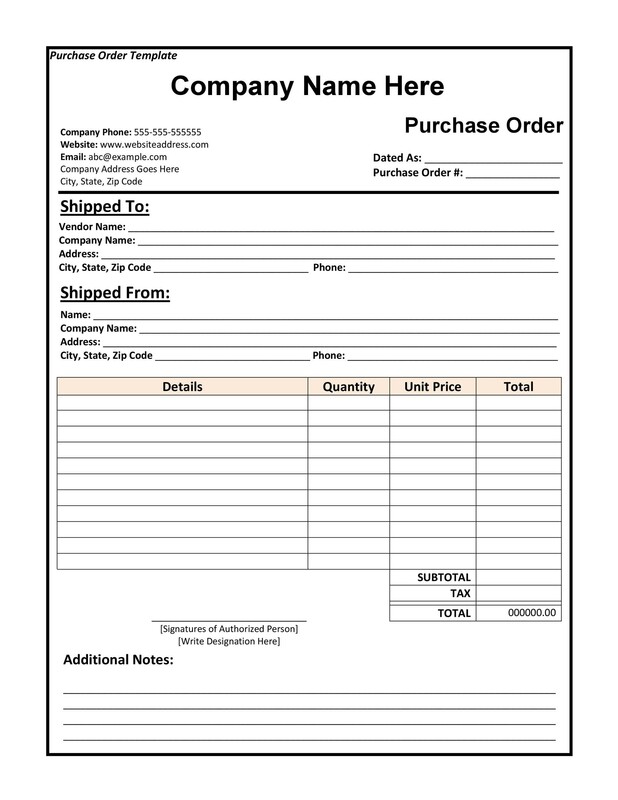 When filling out your purchase order form template, make sure that you have a set value for each field, just in case. 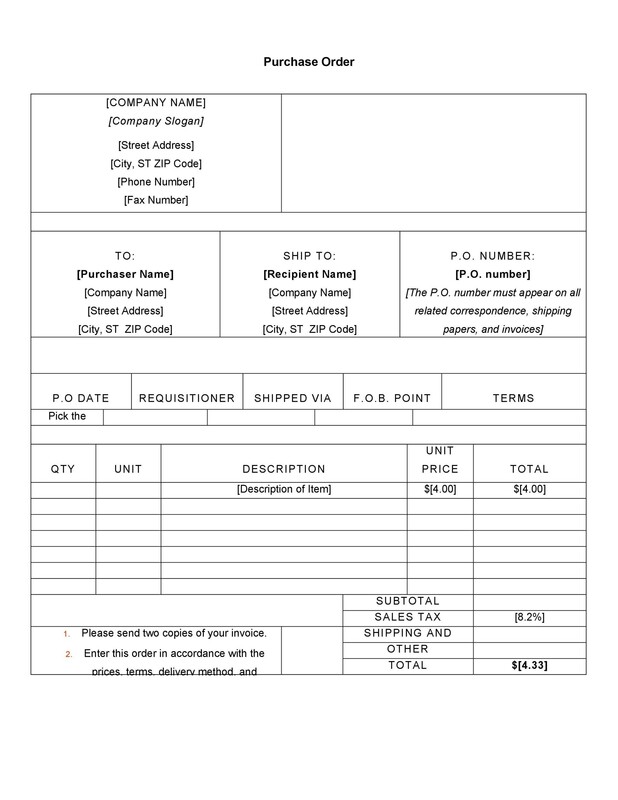 Many businesses rely on purchase order financing to help them buy larger quantities of goods and supplies without harming their cash flow. 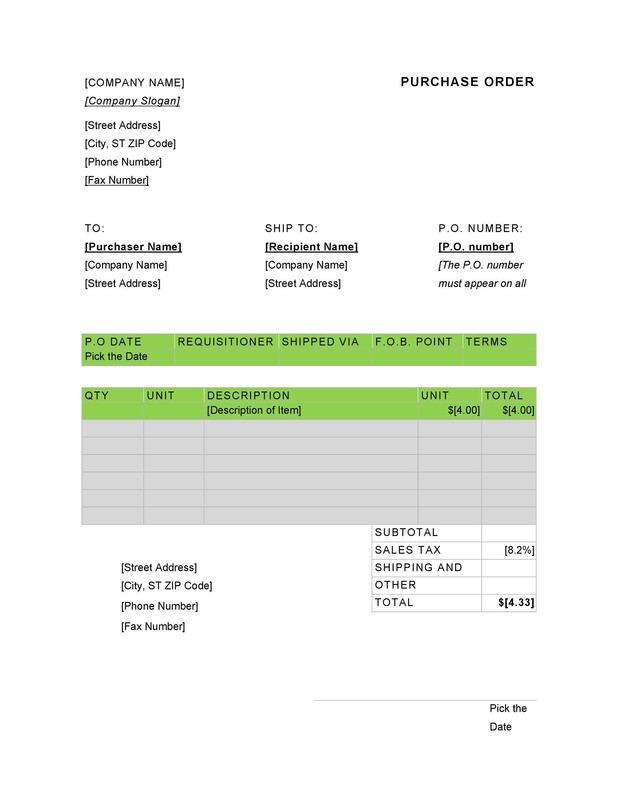 Many vendors will accept purchase orders of net 30 or net 60 days, giving you time to recoup the money you’ve spent while working to grow your business. 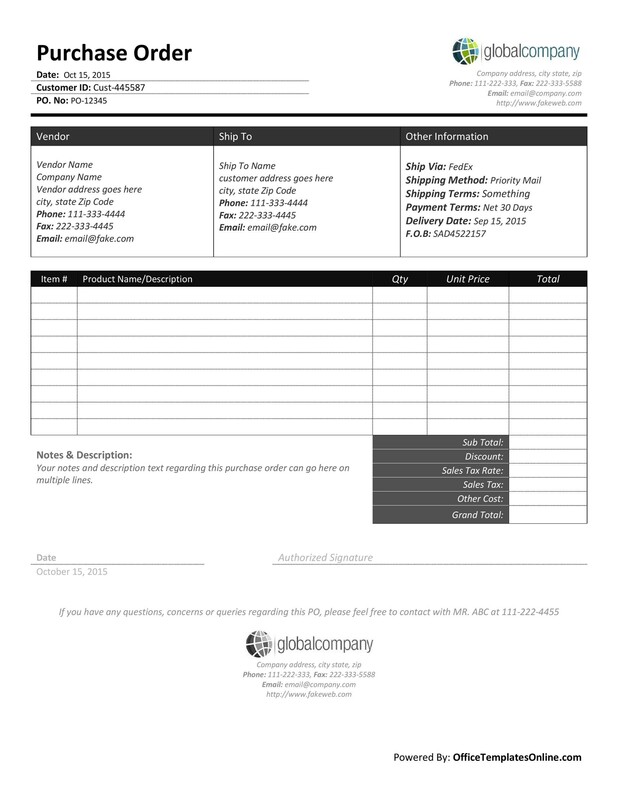 A purchase order template, unlike an order form template, is only used in the business-to-business marketplace. 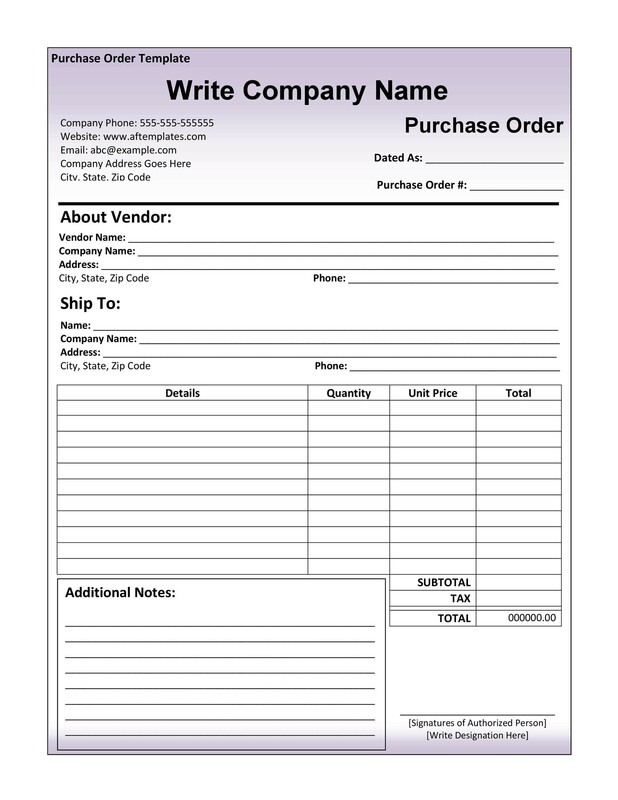 Retailers, construction firms, ad agencies and other vendors typically accept purchase orders from companies they believe are credit-worthy; typically, this means you are considered a good customer who pays on time. 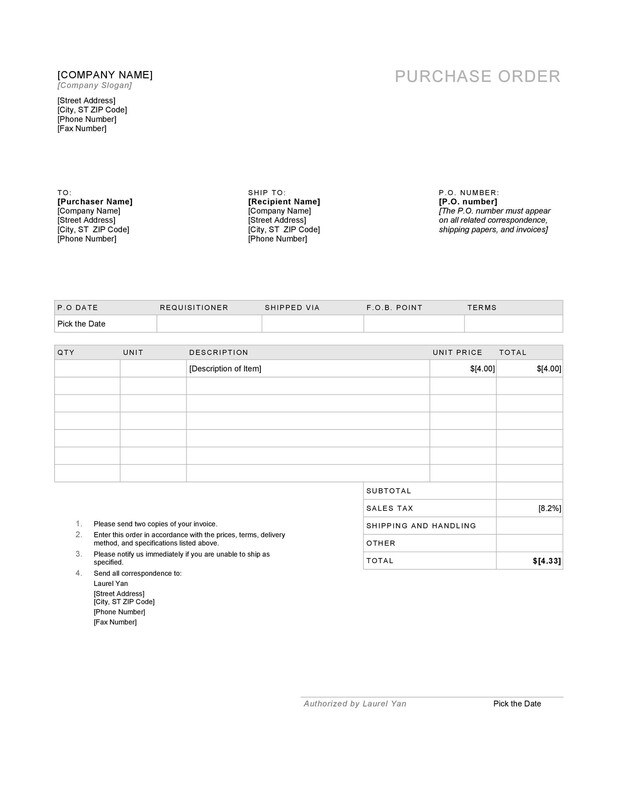 A purchase order is set up to allow you to keep the same cash flow until the invoice is due. For many business owners, this is a vital function that helps grow the business. 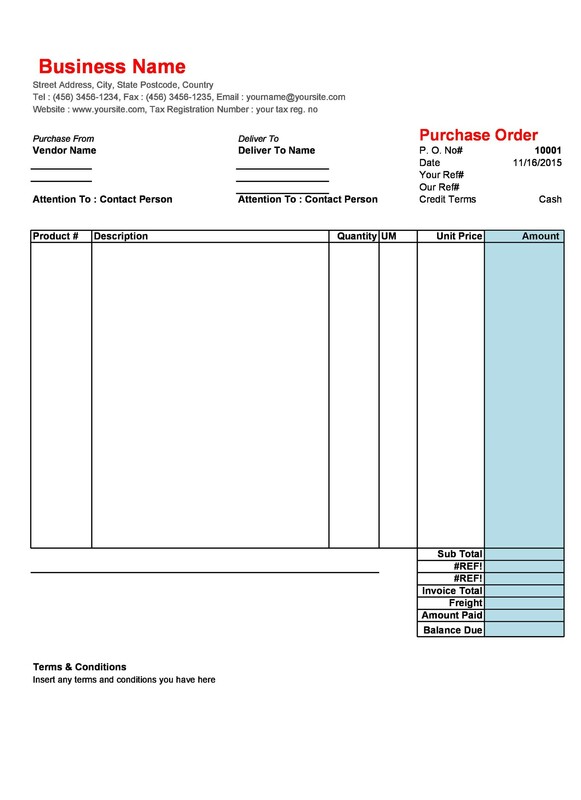 Many companies using purchase order forms to order goods on credit. 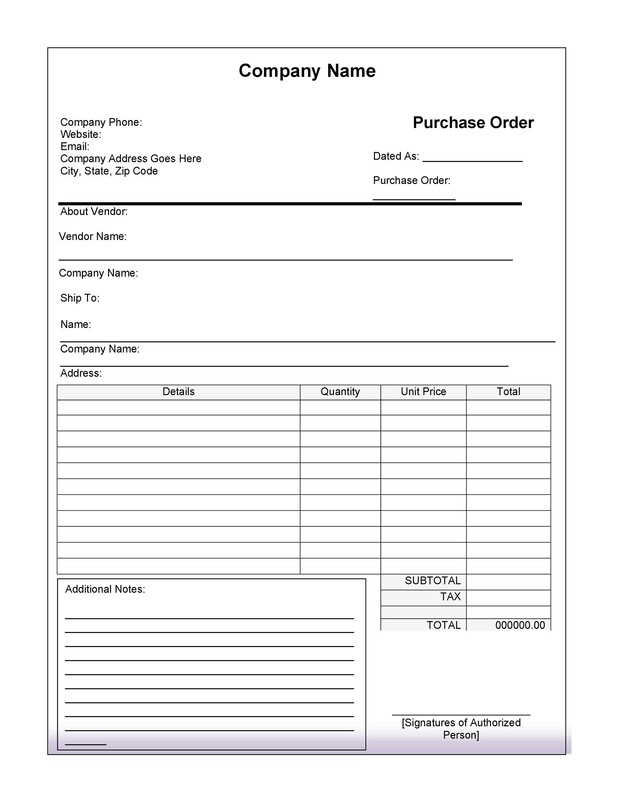 Remember, a purchase order, once accepted by the vendor, is considered a legal contract that you are guaranteeing payment for. For example, a retailer who expects a particularly busy Xmas season may place an extra large order to keep up with the anticipated demand. If the retailer uses only his cash flow for this purpose, he would only be able to order a limited supply of goods, and would risk missing out on profits before the shopping season ends. 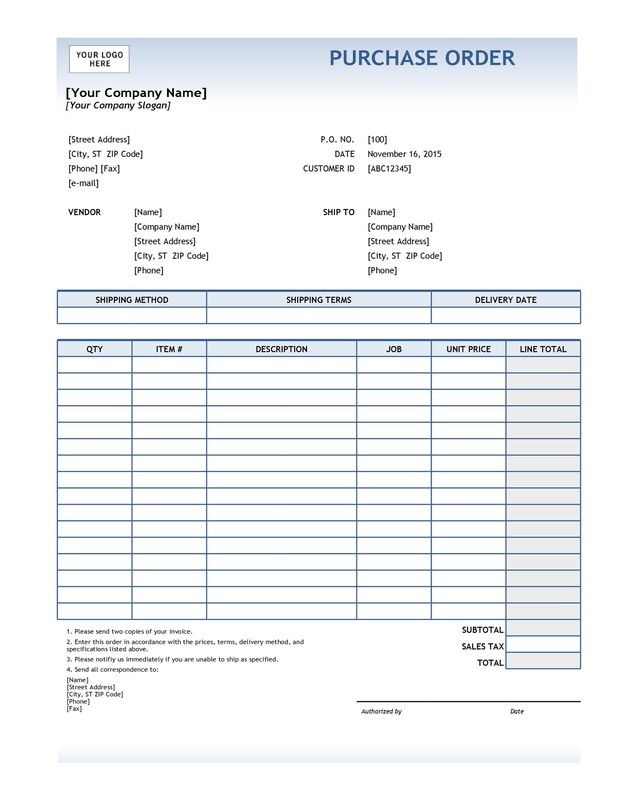 Make sure you keep your accounting records up-to-date and always make sure your order forms are legible, properly formatted, and authorized by the responsible party, such as the business owner or the procurement office. 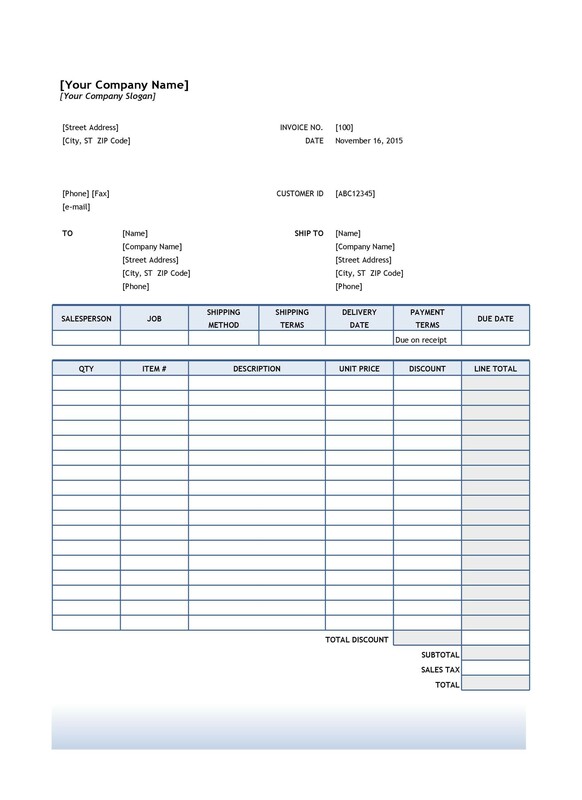 A purchase order form template will help keep things standardized, no matter how many employees your company has. 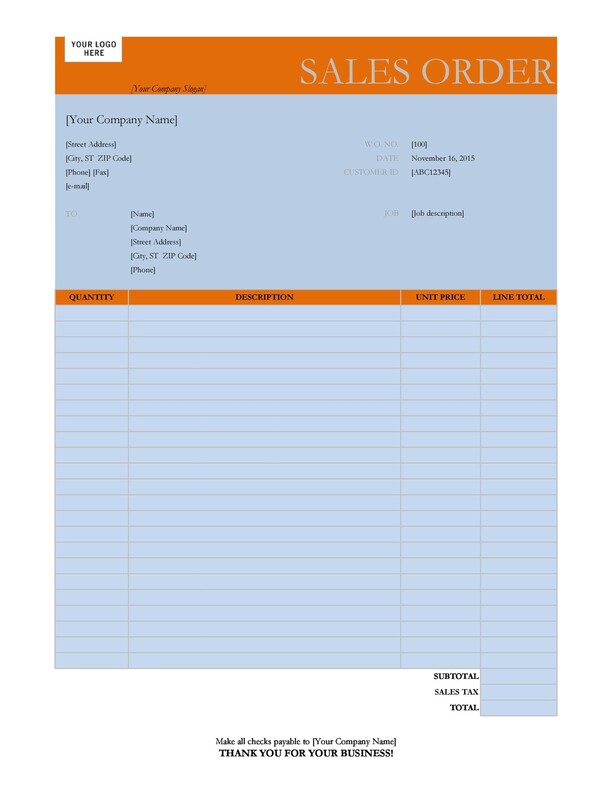 Work with your vendors to develop unit prices for the items or services you order regularly – this will save your business relationship in many cases. 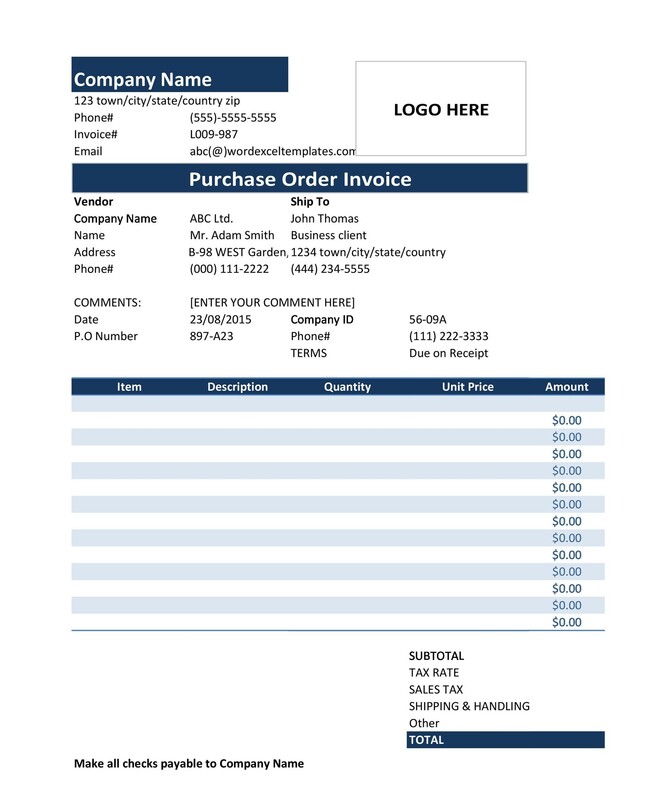 With standard prices, you’ll immediately know if you’re being overcharged, and with a good purchase order template, you’ll always have the information you need, for every order with your vendor. 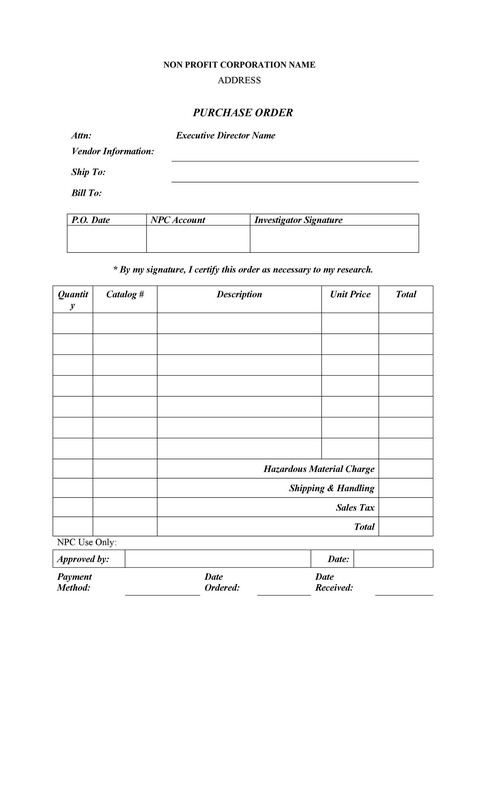 Make sure that you limit who can sign off on a purchase order. Sure, you want managers and salespeople to be able to place orders, but you’ll want a trusted person from upper management to review each purchase order. 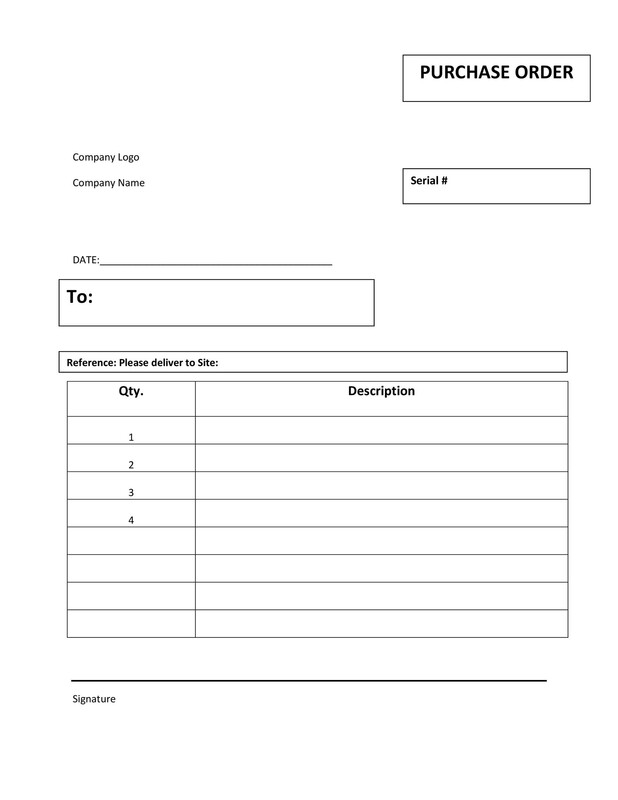 You should have at least two signatories; in case one person is absent the day an urgent purchase order needs to be sent. 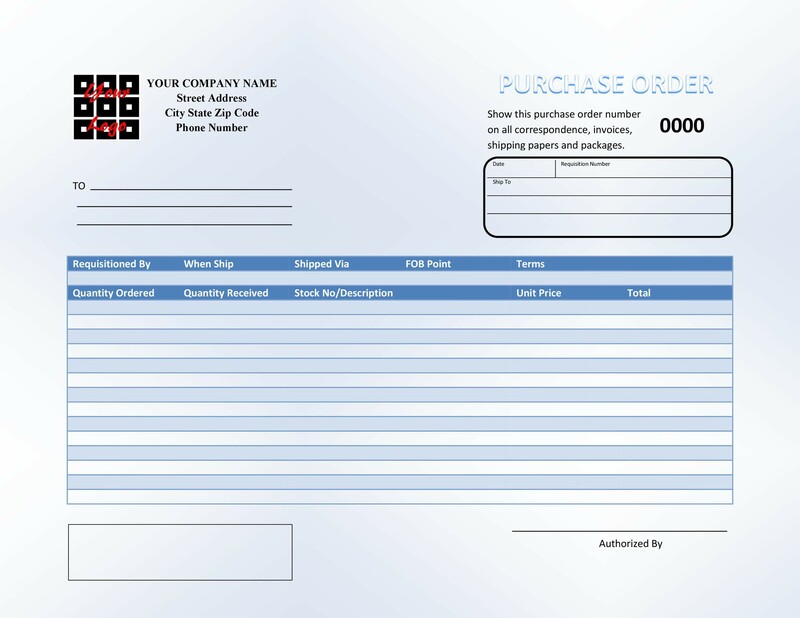 Decide on a standard purchase order form template and make sure you use it in every transaction. 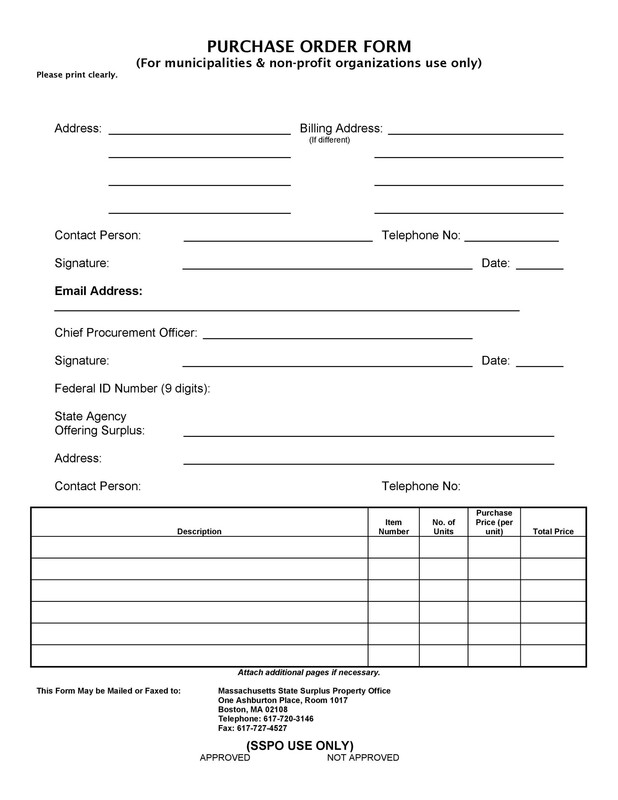 After a while, it will seem like a second nature to fill out these forms. 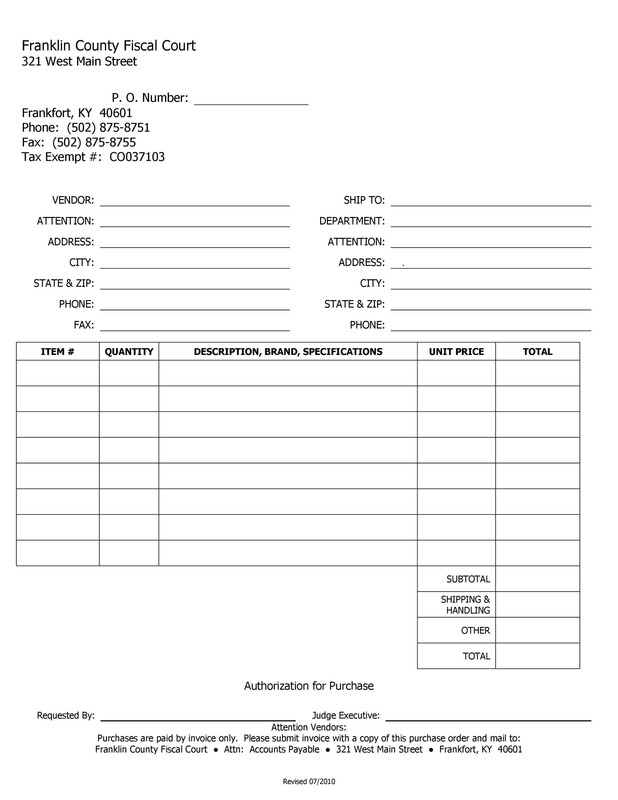 Make sure your vendor gives you product numbers and information on quantity discounts. 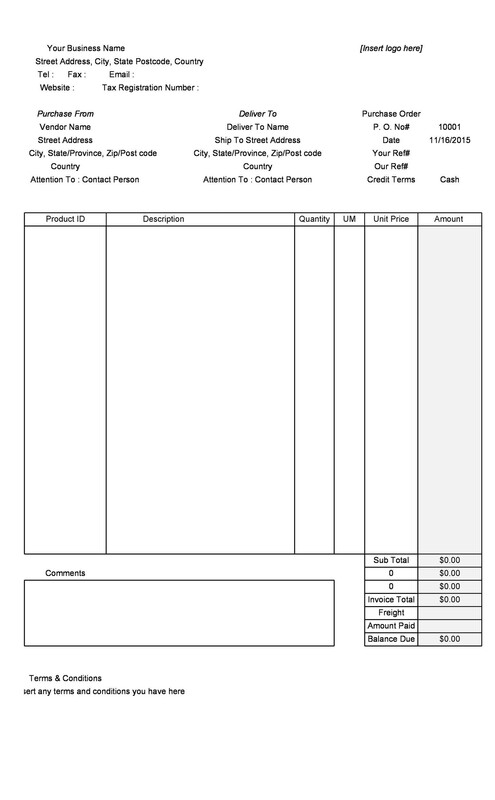 Every purchase order you send must reflect the price you have agreed on for the quantity you plan on ordering. 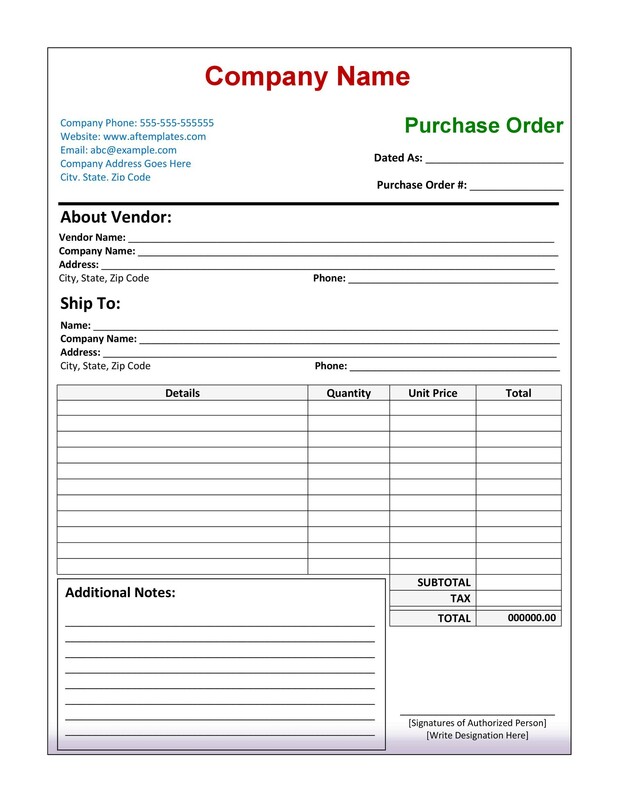 Find out which of your vendors take orders via purchase order and any restrictions they have. 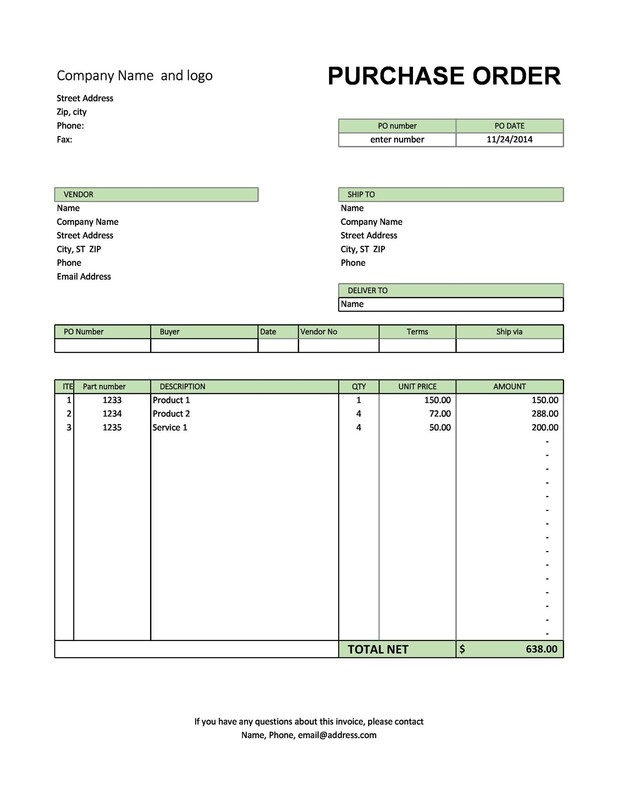 Find out how long you are allowed to take to pay the invoice generated from the purchase order. Typical time periods are net 30 days and net 60 days. Some businesses will secure your purchase orders through your own creditworthiness, while others will use a financing company. The financing company will assign you a line of credit that’s essentially an inventory loan. Your vendor will withdraw funds as payment for the shipped merchandise, and you’ll get more supplies to work with that you’ll pay back later. Maintain a good relationship with your vendors, and don’t be afraid to negotiate. 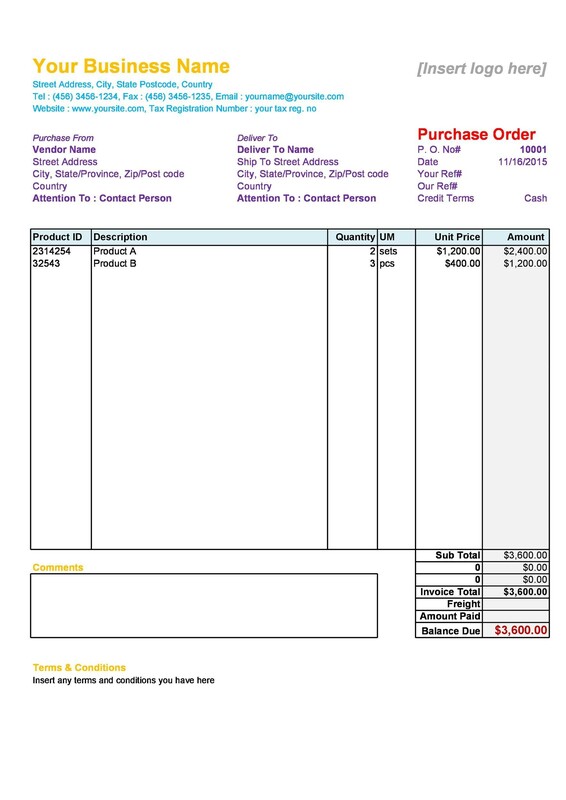 If you’re a frequent customer and buy a lot of supplies in bulk, you may qualify for special pricing or other incentives. 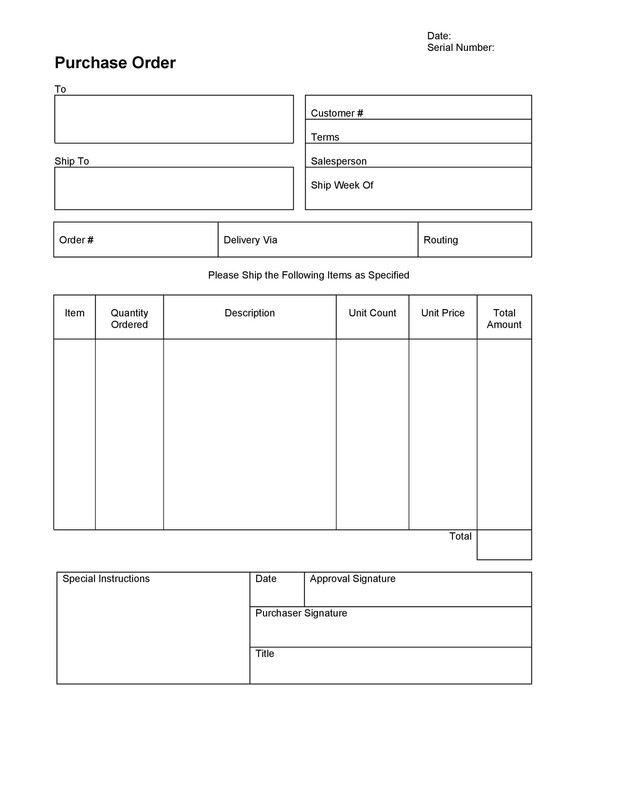 Using purchase orders to grow your business isn’t as hard as you think, and it opens the doors to many other opportunities, such as last-minute orders or contracts from your own customers. 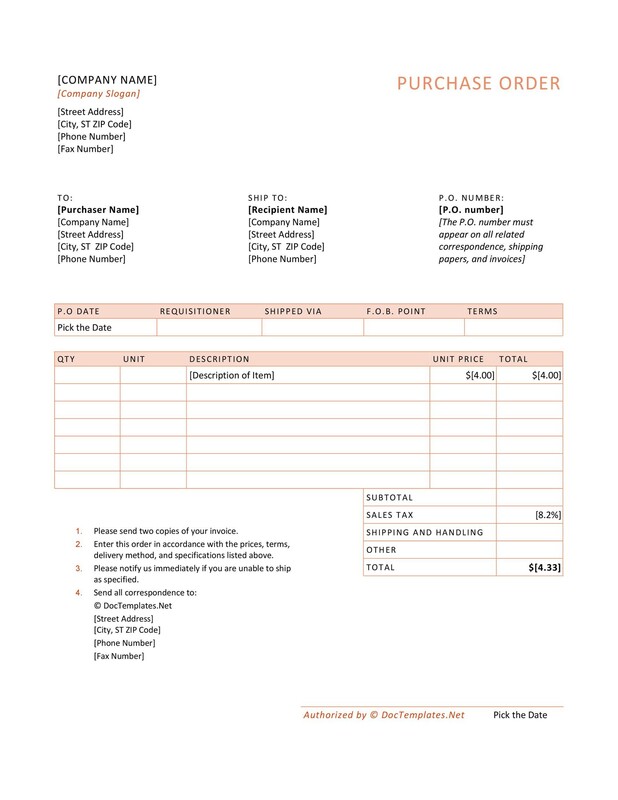 A purchase order can lend you the capacity for quick, and effective growth, minus the typical growing pains many small businesses experience in times of prosperity. 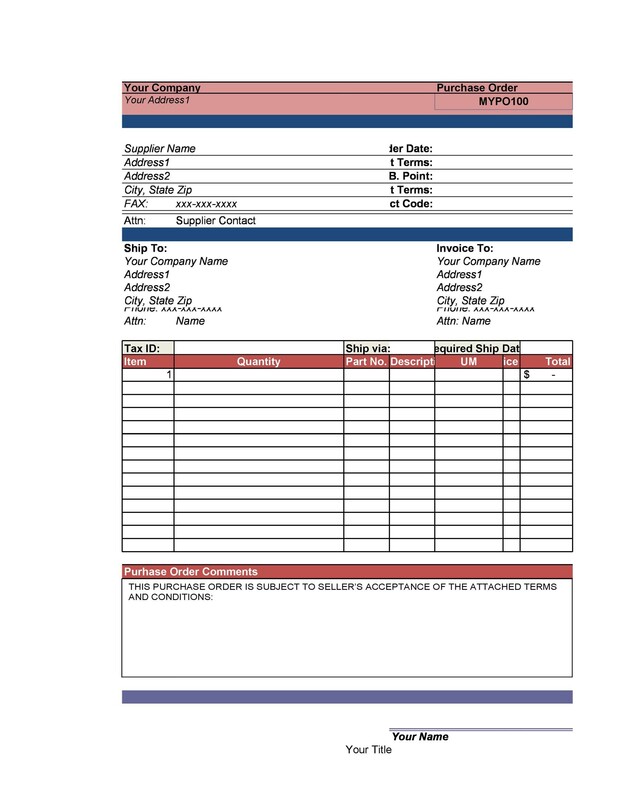 Purchase order templates allow special pricing, quantities, and other information that is paid after the services or goods are ordered, typically at least 30 days later. 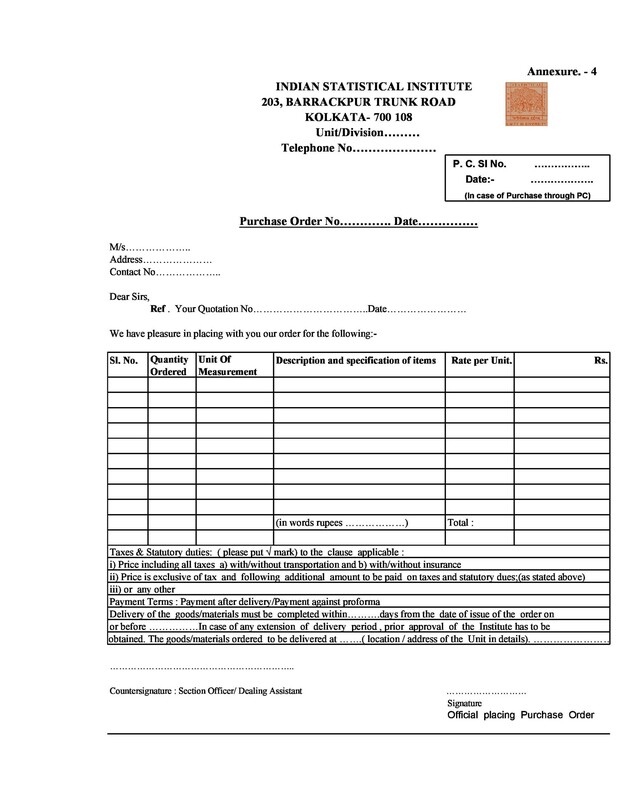 An order form doesn’t take into account your business’s needs. 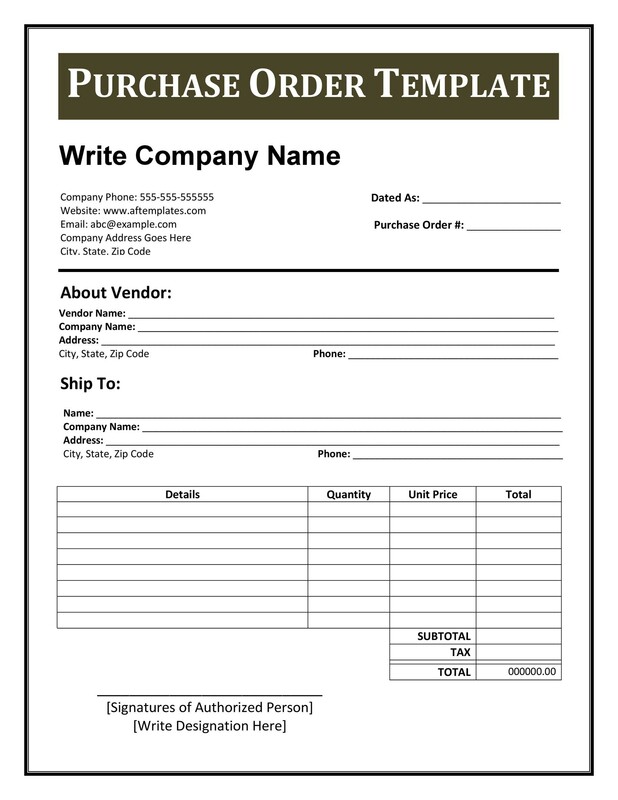 If you use an order form template provided by your vendor, you will be placing orders on their terms, not your own. 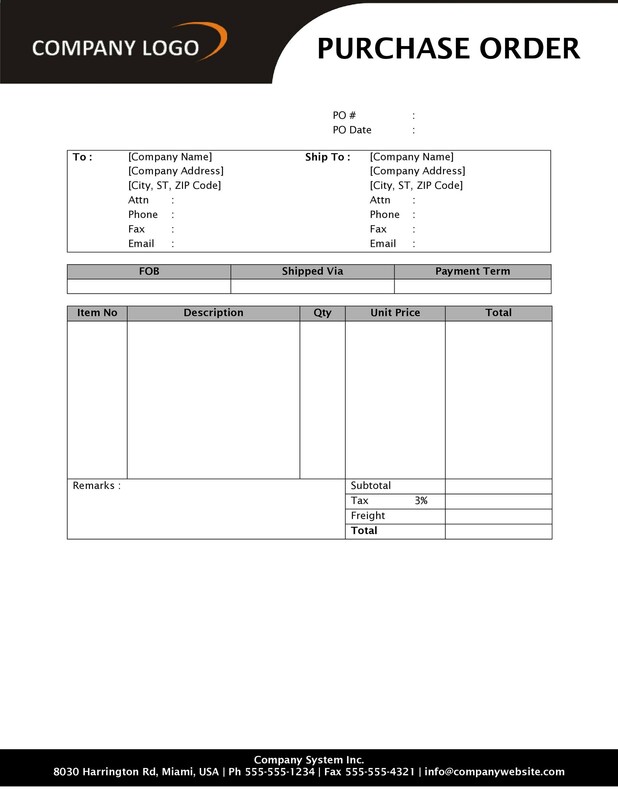 Find out if they allow purchase orders. 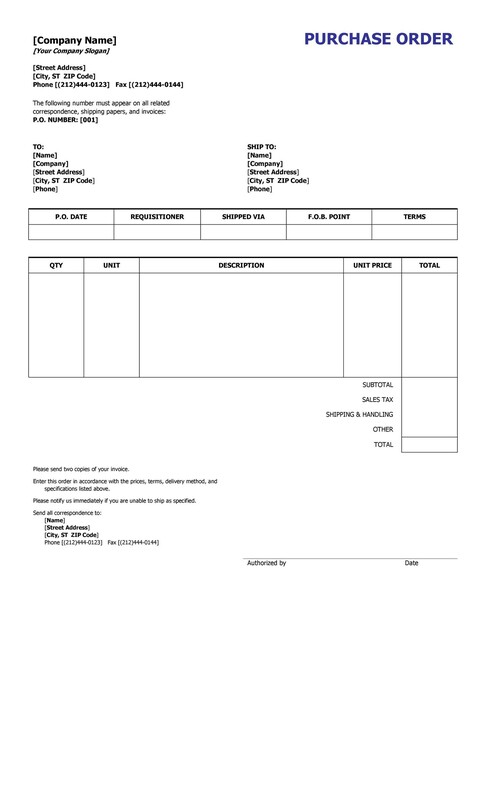 If so, make sure you have a good purchase order template that specifies quantity, product item numbers, and payment terms. 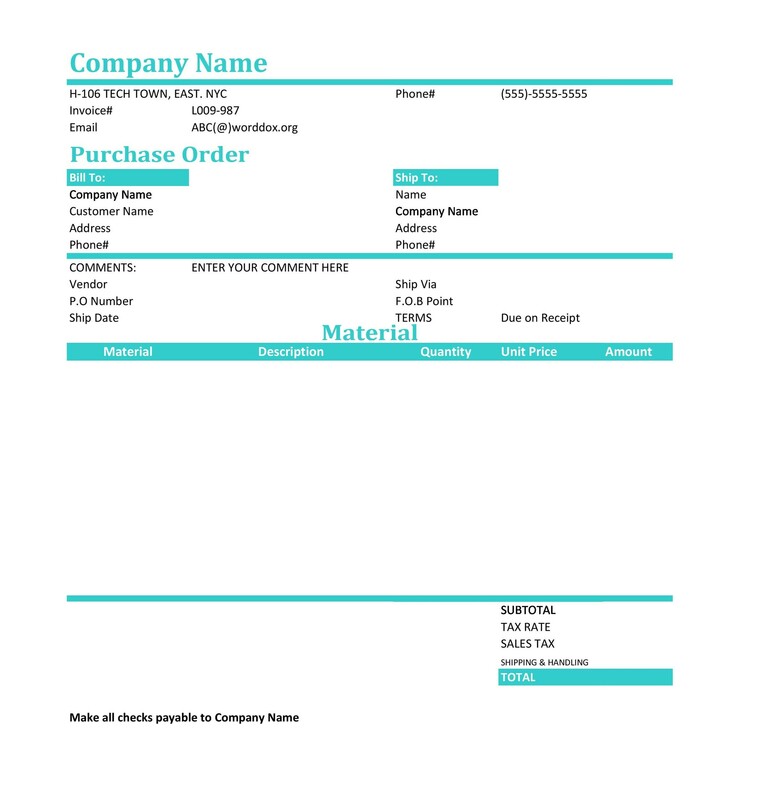 We have a free template for you to download and modify on this page.